Lalu Yadav was found guilty of diverting Rs 89.27 lakh from the Deoghar treasury 21 years ago in what is now known as the fodder scam. 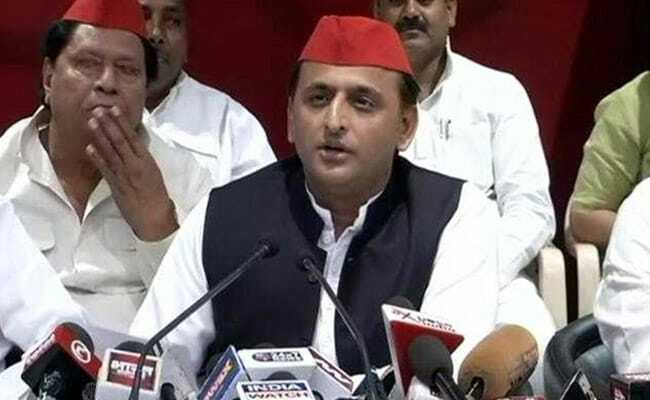 Lucknow: Samajwadi Party chief Akhilesh Yadav today appeared to defend jailed RJD leader Lalu Yadav over what he said was "injustice" done by the BJP. The response came when reporters asked Akhilesh Yadav about the Bihar leader's sentence in the fodder scam. SP national general-secretary Ramashankar Vidyarthi said that the former chief minister of Bihar was facing consequences for not joining the BJP bandwagon. "He is being trapped in a conspiracy by the BJP. Had he joined the BJP, he would not have had to suffer jail sentence. I am sure he will get justice from the high court," he said. According to Mr Vidyarthi, the time has come for the opposition to unite against and defeat the BJP. The RJD chief was sentenced to 3 years and 6 months in jail and fined Rs 10 lakh by a special CBI court in Ranchi. Six others, including senior Congress leader and former chief minister Jagannath Mishra, were acquitted by the court.